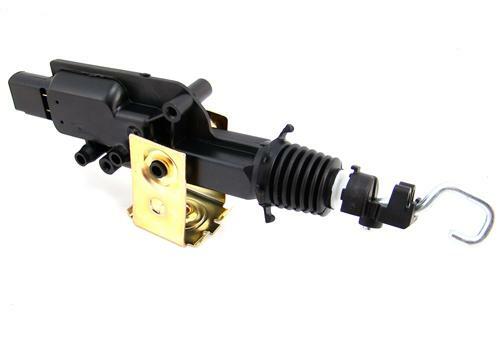 Restore proper door lock functionality with a new, OEM Ford door lock actuator for your 1994-1998 Ford Mustang! Over years of use, the door lock actuator in your 1994-1998 Mustang can become rusted or the solenoid can stop functioning. Replace that non-functioning door lock actuator with an OEM Ford direct replacment door lock actuator. These door lock actuators include a set of actuator rods and a new mounting bracket. The new Ford actuator will put your mind at ease knowing that you will have many more years of service! There are a few ways to determine if your 94-98 Mustang's door lock actuator has stopped working. The first way is that the key still works in the door but nothing happens when you hit the unlock button. Or key won't even turn in the door, the door lock knob is frozen in the unlock position & nothing happens when you hit the switch.